The world’s most progressive provider of deicing solutions for the aviation industry. LNT Solutions brings to market products that offer improved performance and cost savings to airports and airlines alike. LNT aircraft and ground deicers are designed to provide exceptional holdover times and easier handling, and are delivered by production and logistics solutions located close to point of use. LNT Solutions was established in 1983 and is part of the LNT Group, owned by entrepreneur Lawrence Tomlinson. From its beginnings as a developer of innovative automotive deicing products, LNT Solutions has grown into a leading supplier of groundbreaking deicers to the aviation industry. 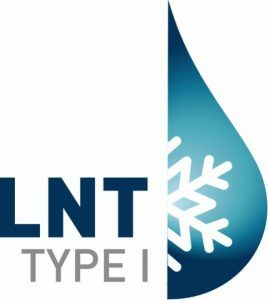 Typically from backgrounds in deicing facility management, winter logistics and deicer manufacturing management, the LNT team draw on decades of experience in the aviation industry. Internationally recognised as winter operations experts, members of our team sit on numerous regulatory standards committees. We understand your operational challenges because we have lived them with you. All LNT Solutions manufacturing facilities have the capability and flexibility to meet the demanding requirements of airport winter operations, adapting seamlessly to the variable severity of a typical winter. A facility is always close to point of use and is tailored to meet your maximum daily and seasonal fluid demands. A high performance runway deicing fluid that offers longer protection time against snow and ice-build than traditional potassium salt deicers, keeping runways open for longer, reducing chemical usage and lowering deicing costs. 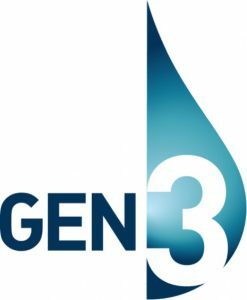 GEN3 significantly reduces the high costs of corrosion to GSE and aircraft carbon brakes. Qualified to the latest AMS 1435 specification. Enhanced holdover: Runways open longer • Fewer delays and cancellations • Fewer Trucks. Faster melting of ice and snow: Lower application rates • Ice residues dissolve quickly • Friction values rise quickly • Runways open quicker. No corrosion on GSE equipment: Saves rust protected galvanised steel • Reduces maintenance costs. Low electrical conductivity: No more shorts on GPU plugs • Reduces corrosion to GSE and aircraft. Carbon brake friendly: Solves airline concerns • Reduces maintenance costs • Extends life of carbon brake assemblies • Increases aircraft safety. Friendly to aircraft: Does not corrode cable seals • Does not corrode cadmium plate • Reduces maintenance and replacement costs. Lower airport costs: Runways open faster and longer • Lower GSE maintenance costs • Savings for both airports and airlines. LNT Solutions range of Type I Aircraft De-icing Fluids (ADF), LNT P180, LNT E188 and LNT P188 are designed and qualified to AMS 1424 and ISO 1175, and exceed the demanding local environmental regulatory requirements. Readily bio-degradable, an enhanced low foaming surfactant and dye package gives excellent surface wetting and allows easy identification on treated surfaces. Formulated specifically for geographical point of use, both Propylene Glycol and Ethylene based fluids are available, and compatible with existing application equipment. LNT Solutions has recently added LNT E450 Type IV De/Anti Icing Fluid to complement their current range of Type I Aircraft De-icing Fluids (ADF), LNT P180, LNT E188 and LNT P188. Qualified to AMS 1428, LNT E450 is readily bio-degradable, and is formulated with an enhanced low foaming surfactant and dye package, that gives excellent surface wetting and allows easy identification on treated surfaces, as well as exceeding the demanding local environmental regulatory requirements. LNT E450 has been formulated specifically for the North American market and are fully compatible with the current application techniques and equipment. LNT E450 has been formulated specifically for the North American market and are fully compatible with the current application techniques and equipment.. Recent environment demands are encouraging our customers to invest in and use recover, recycle and reuse (RRR) technology, allowing the use of recovered glycols to be processed back to EG market specifications. LNT E450 was designed with RRR facilities in mind. Recent environmental demands are encouraging our customers to invest in and use recycling technology, allowing the use of recovered glycol to blend fluids locally. LNT Solutions is in the vanguard of advances in recycling technology and is assisting in some of the world’s biggest and boldest projects to recover recycle and reconstitute aircraft deicing fluids back into usable Type I fluids. All LNT Type I ADF fluids are capable of using recycled glycol, on condition this meets our stringent specifications. A single LNT Solutions pack additive, used together with our mixing plant design, ensures trouble free on-site fluid manufacture.